I love to ski. Its my favorite activity and why I live in this overpriced community. Recently, I’ve gotten into backcountry skiing. It started with getting the gear so I could start doing hut trips. 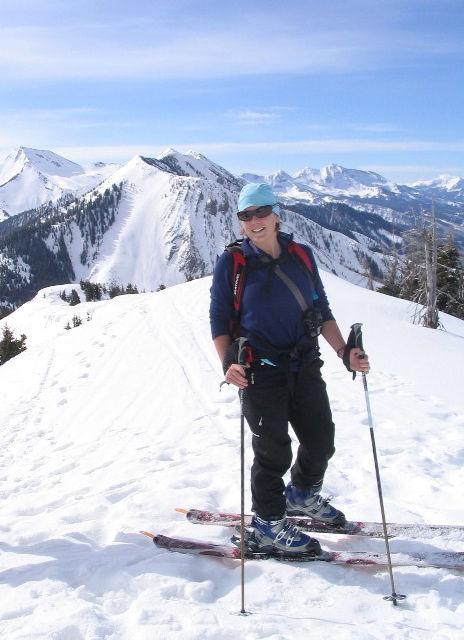 Then I started skinning up Buttermilk for evening exercise. Then Dave hurt his back in the resort, so he started doing a lot of backcountry because the snow was softer and the movement was good for him. Somehow, I got dragged into the mix – I think mostly for the chance to make an appearance on WildSnow.com, can’t let my husband get all the glory. But backcountry skiing causes me mixed emotions, and as I discovered this morning heading up Marble Peak. 1. waking up before the sun is up. 2. driving on windy roads in the back seat – i get car sick easy. This morning was event #1 of Bonedale Bike Week. 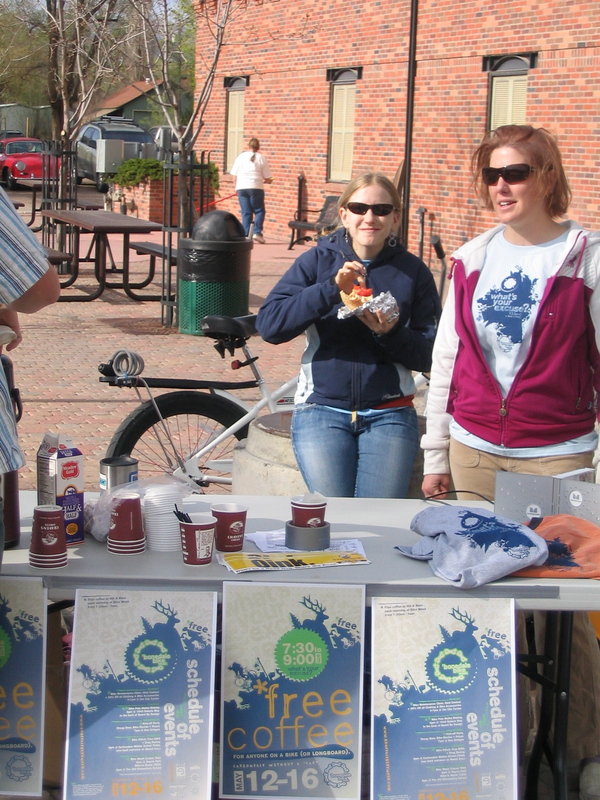 Dave, Tracy and I served coffee and handed out t-shirts to bike commuters. Tonight is a clinic at the bike shop for basic bicycle maintenance. So far people have been excited for a bike event – its obviously something Carbondale has needed for awhile. My friend Tracy and I, along with a few others, are starting a new Carbondale tradition: ‘Bonedale Bike Week. May is National Bike month, with May 12-16 being National Bike to Work week. We’re going to have free coffee, bike polo, cruiser ride and lots of parties!